Researchers have contemplated for years that Multiple Sclerosis may have an environmental component to it. Whether or not it’s the main trigger or just one of many factors that happens to fall in just the right order to disrupt the immune system is what scientists are currently trying to determine in an effort to eventually be able to break the chain of this devastating disease. One thing that has gotten quite a bit of scrutiny is our body’s reaction to heavy metals in our environment with mercury being at the top of that list. The reason for that is simple; the symptoms of mercury poisoning are very similar to those of Multiple Sclerosis. And mercury is, and is becoming, ever more prevalent in our ecosystem. It’s in our water, our soil, and even in the air we breathe each and everyday. It’s becoming an environmental disaster as it combines with other compounds in the ocean as it increasingly builds up in the fish and the plants that we eat everyday. And the vast majority of this newly released mercury is being caused by one factor, the burning of coal for our vast energy needs. There are still some people who do not believe that coal is having a global effect on our weather patterns. But no matter how you view the climate exposure to the burning of coal, the end result does mean, pouring vast amounts of mercury and other heavy metals into the air where it finds its way into everything else that it comes into contact with. And if you are a person with MS this cannot be considered, by any means whatsoever, a good thing. I realize that we just can’t produce the energy that our country needs without burning some kind of fossil fuels but we have vast reserves of natural gas and still a healthy supply of oil that can be used until other alternatives can be developed and employed. But we have to learn to live without the worst of these environmental polluters, and that’s coal. 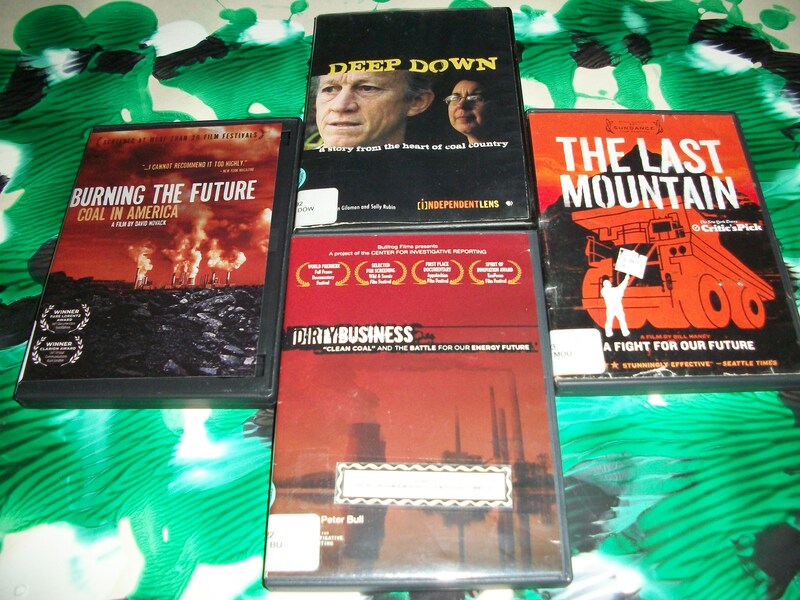 The DVD’s in the picture above are about coal, its use, and its extraction, if you’re interested in seeing them. You can find most of them at any local library or they can order them if you ask. And if you have MS, or any autoimmune disease, this is as much about your personal health as it is about the planets! This entry was posted in MS and Bill Walker, Uncategorized and tagged Autoimmune Diseases, Coal and Multiple Sclerosis, Environmental DVD's, Environmental Poluuters, Heavy Metals and the Environment, Mercury and Multiple Sclerosis, Mercury Poisoning, Multiple Sclerosis on May 12, 2014 by msandbeyond.